I was bored the other day so I decided to write an article on how to get the most, or extend, the battery life of your cellular phone. A lot of these are obvious tips that that you may know already, but it may be worth looking at anyway. So check out Getting the Most Battery Out of Your Cell Phone. 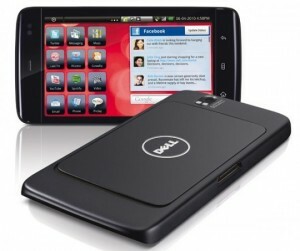 Android version 2.1 has been leaked on the internet for the Dell Streak tablet. It is available for download in many places throughout the web. I’m sure many are taking advantage of this leak, and putting this premature version on their tablet. Updates WILL be available. This version is for the O2 locked Dell Streak, which is a pretty nice phone / tablet. You can download the Android 2.1 update for this phone from several mirrors. So What’s New In Android Update 2.1? Most notably, they improved the keyboard (great for those who text a lot on this phone), added live wallpapers (makes the phone look even more pretty), and a 720p camcorder (makes the phone even more powerful!). Download the update from one of the given mirrors above (it is a PKG file). Drag the PKG file to your Streak’s SD card and then rename it to “Update.pkg”. Afterward, reboot the Streak into recovery mode by holding down both volume keys and powering it on. This procedure is VERY simple as you can see. BE SURE TO BACKUP ALL YOUR DATA BEFORE UPDATING. YOUR TABLET WILL BE WIPED CLEAN. BE CAREFUL WHEN INSTALLING ANY UPDATES TO YOUR PHONE AND RESEARCH THE POSSIBLE CONSEQUENCES. Also, for those who download from mirrors like the above often, check out this awesome, free Firefox addon — Megaupload MU, Megashares MS, Rapidshare RS, Mediafire MF, DepositFiles DF, Auto CAPTCHA + Auto Download. Google likes to release services left and right. For awhile, their service Google Voice has been invite-only for beta testing reasons. Well, that day has come to an end and now it’s available to everyone! It seems to be a really interesting service packed with features so I suggest checking out the official Google Voice website for more information. A first look at a new rugged cell phone that is built to withstand substantial abuse including being waterproof and shockproof. This first-look review is done by C-Net, and the phone will be available to Verizon customers. Sharing is caring.